Hi guys! Welcome to the 1st discussion for our May Read Along: Great by Sara Benincasa! Huge thank you to everyone who joined us for chapters 1-7 a few weeks ago! We cannot wait to discuss (or rather swoon over it) the end of this book together! 1) What are your thoughts regarding the ending? If you've read The Great Gatsby, did you like the change? 2) Do you think Naomi was changed by the events over the summer? Not just what happened with her peers, but also with her mother? 3) Would you have posted the video or would you have just let things lie? 4) Did you find Great predictable? 5) Do you think you would've enjoyed it more / less if you hadn't read The Great Gatsby or do you think you would've enjoyed it more / less if you had read it? I tried to call Skags a couple of times, but either side couldn't talk more than a few minutes or she didn't pick up the phone. I guess I could've tried hard to call Skags, or at least to text back and forth, but it seems like something else was always coming up - a clambake, or a day at the village spa with Jacinta and Delilah, or a long bike ride with Jeff. Usually I spent all summer wishing I were back in Chicago, but at some point that summer I stopped thinking about home. "We're all snobs, honey," she said. "I just say it's how I was raised." "It's not how I was raised," I said. "Sure," Olivia said. "You're here, at this fabulous party, with these fabulous people, all of us looking fabulous in white drinking the same wine and eating the same food, listening to the same hired band in the same backyard of the same mansion - and you're different?" She laughed a nasty little laugh. "Sure you are." At this, Teddy's expression darkened considerably. Whatever ground he'd gain was lost the moment Jacinta's hand touched his girlfriend's forearm. His hulking body tensed. I don't think it was the touch that angered him, per se - it was the clear evidence that theirs was a world from which he was barred entry. It was fine if other people couldn't get between his girlfriend and this superman blogger, but he should always be assured his place. 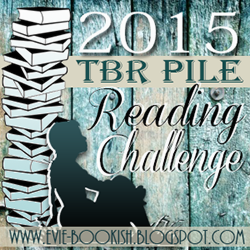 And remember, it's never to late to sign up for 2015 TBR Pile Reading Challenge. While sign-ups are now closed, you'll be able to sign up again when Debbie posts her May - June wrap up on June 25! 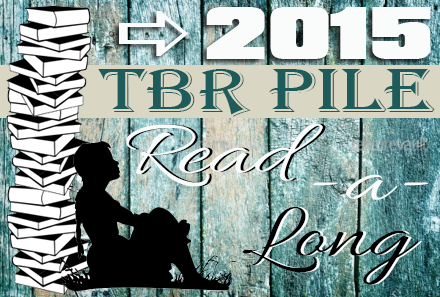 Also, check back tomorrow to vote for July's Read Along!